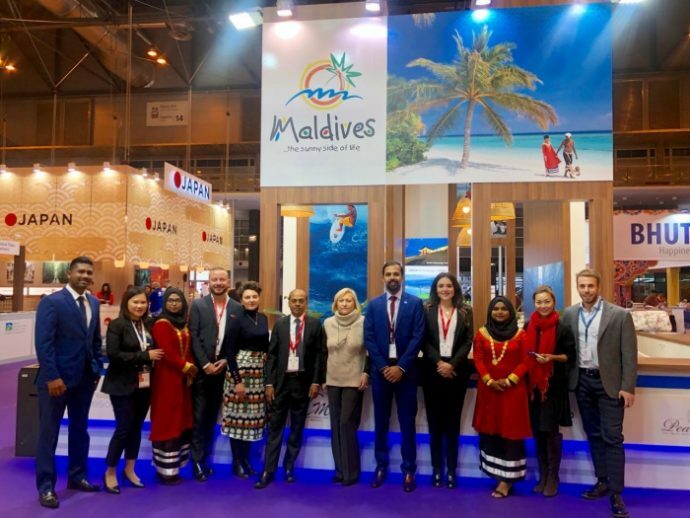 Maldives has been showcased at FITUR International Tourism Trade Fair in Madrid, Spain. 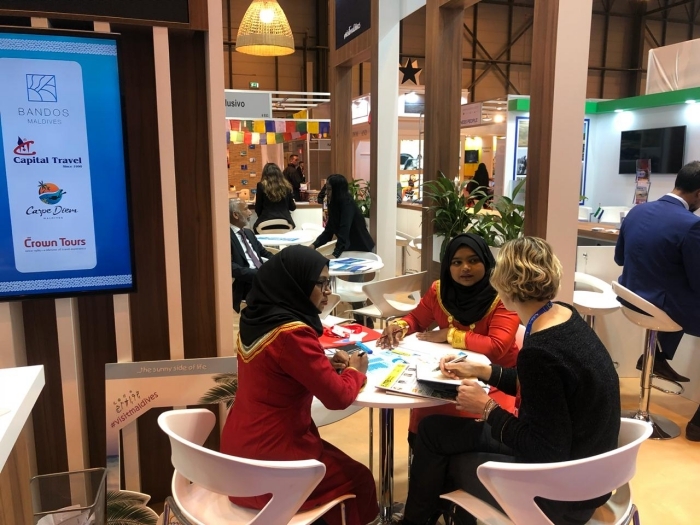 During the fair held from January 23-27, Maldives is represented by officials from the Maldives Marketing and Public Relations Corporation (MMPRC) along with 36 representatives from 21 companies involved in the Maldives tourism industry. The uniqueness of the destination is being portrayed at a 70sqm stand located at the Asia Pacific hall. Visitors are able to taste local delights, whilst they have the opportunity to win goodie bags after posting a picture at the Maldives stand. Meetings are being held with industry professionals in a bid to seek possible joint campaigns and enhance marketing efforts with the professionals of the industry. Now in its 39th edition, FITUR is one of the biggest global platforms for leading travel trade professionals for inbound and outbound markets. The first three days of the annual fair are solely for trade visitors, whilst the last two days are for both trade visitors and public. 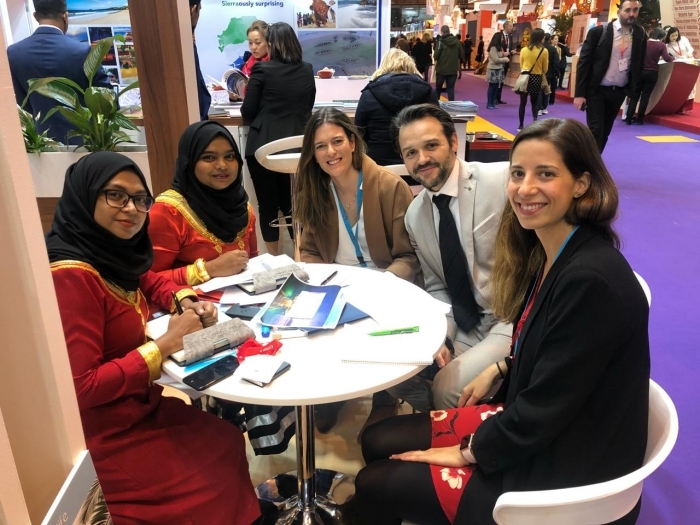 “Although FITUR is mainly targeted for the Spanish market the platform will be a great opportunity for Maldives to connect with tourism professionals from all over the world,” MMPRC said, in a statement. Arrivals to the Maldives from the Spanish market has grown by 23 per cent by the end of 2018, as arrival numbers reached 31,780. Spanish market shares 2.1 per cent of the market share to Maldives.